What would make a Bluetooth Speaker even better? The ability to turn it into a disco light magic ball. 1ByOne are already on the case, and they have produced the Bluetooth Speaker Crystal Super Disco LED Digital Magic Ball Light. While the name is quite a mouthful, essentially this is the best device I can think of to have when you’re throwing a party… wireless music and disco lights. What more could you ask for. Bluetooth 3.0: Faster data transmission, wider equipment capability, up to 30 feet(10m) control distance, this wireless dome is easy to put wherever you want it! 3W power for each super bright LED makes party much effective under the music playing. 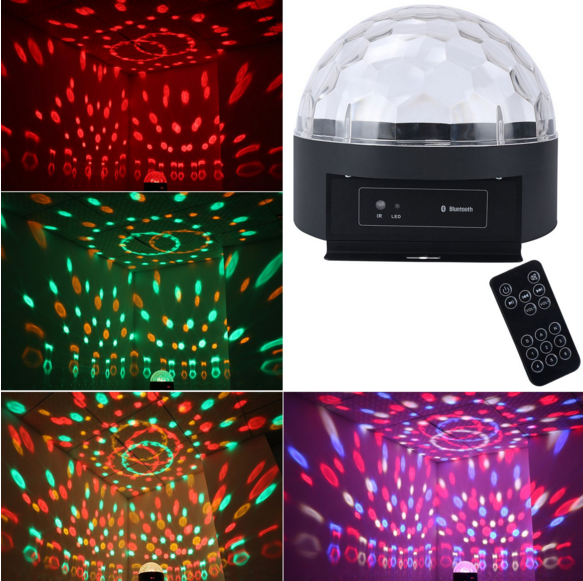 Beautiful color changing with 360ãrotating head runs every corner of your party. Now, to business! The nice folk at 1byOne are giving five of our lucky readers the chance to win one of these. Yes, you read that right. 5, not just one! Competition open to UK residents ages 18 and over. Winners will be given Amazon codes to buy this item. There may be delivery charge to pay. Competition closes on the 20th of November, midnight. Winners will be chosen randomly. Our decisions will be final. The competition is now closed, and we would like to thank everybody who took part. We are in the process of getting in touch with the winners!